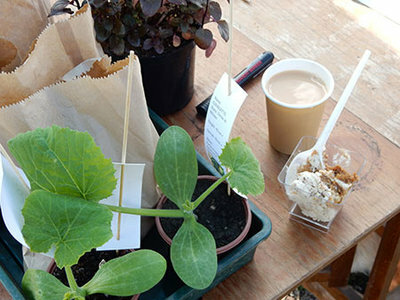 Bargains snapped up at the sale. 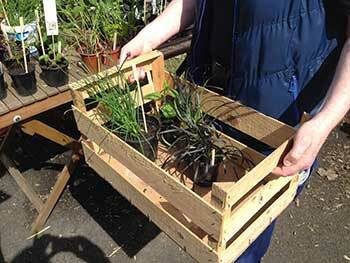 The 2018 plant sale enjoyed great weather and attracted an eager crowd. 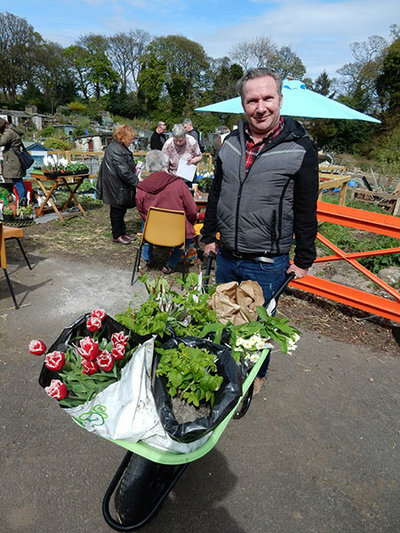 Plot holders turned up early in order to get best buys, but due to the high quality and number of donated plants, there was plenty of choice for everyone throughout the day. 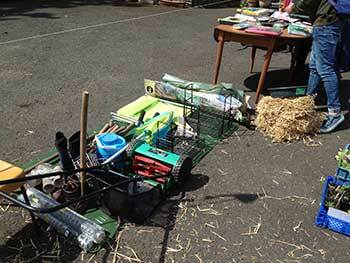 Straw was popular as ever and sold out. 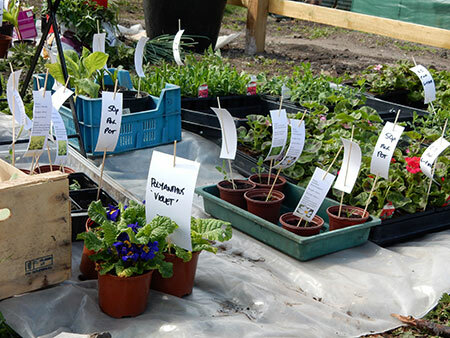 The flowering annuals from Pentland Plants were as healthy and bee-friendly as ever, and polytunnels on site provided (thanks to the amazing efforts of a small number of individual plot holders) a whole array of veg plants ready for planting out. 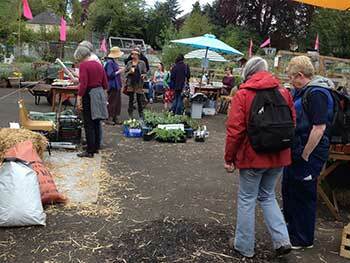 And that's not including the many donations that came from the many other plot holders keen to support the sale. 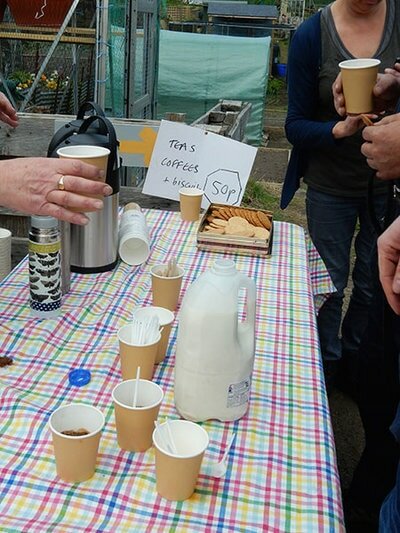 The tea and coffee stall was supplemented this year by such delectable home-baking yummies (thanks Alison and Esme) that we have been prompted to think about expanding next year's 'cafe' facilities! 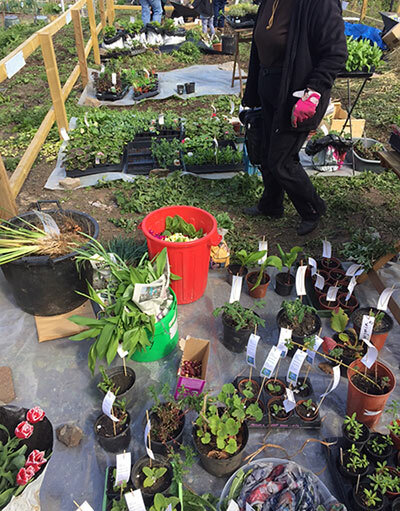 We raised a magnificent £300+ that afternoon, which will be used towards the communal area planting this coming spring. 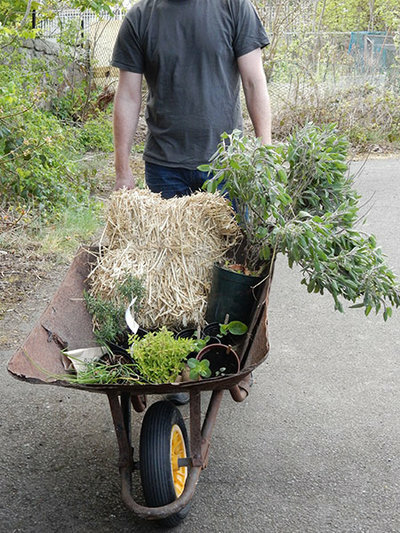 Many many thanks to all who helped on the day, who donated plants and who are already thinking about next year's sale at beginning May 2019. Thanks also to Redhouse Nurseries and Pentland Plants for supporting our event. 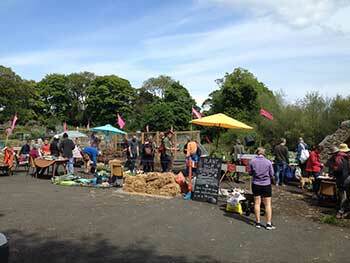 The first Warriston plant sale gathered plot holders from all corners of the site. 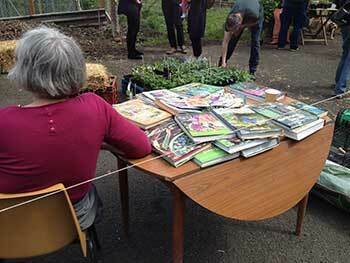 The car park was full. 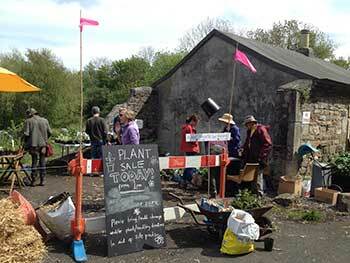 The sun shone. 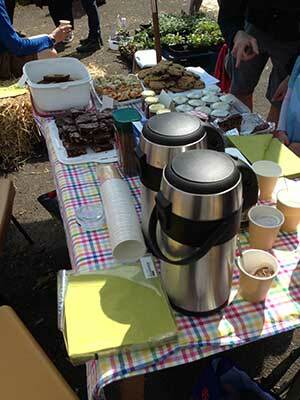 Tea and some really delicious tirimasu donated by a wedding party sustained us. 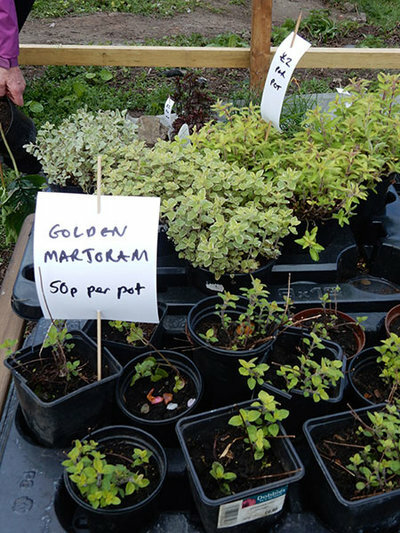 Trays and pots of plants were displayed in the ‘old leaf mould’ area, most carried (or in some cases, barrowed) away for bargain prices. 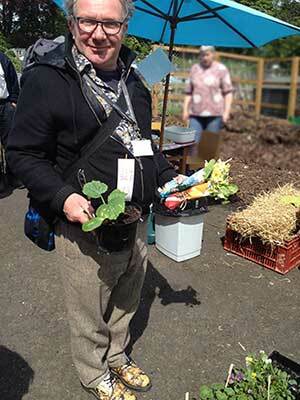 Many had been brought along by plot holders. 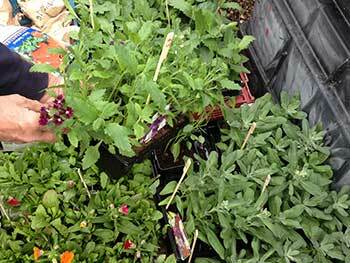 Tomato plants, red cabbage, kale, bergamot, marjoram, courgettes, lettuce, primulas, candy tuft, an apple tree, apple mint, spring onions, a variety of thymes, corn, globe artichokes, raspberries, evening primrose, violets were just some of the tempting offerings. 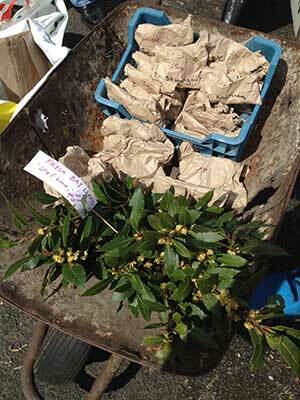 A small selection of potatoes, onion sets and shallots were also available for a late sowing. 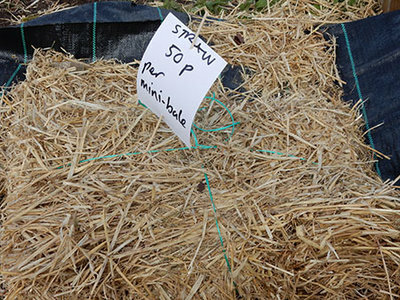 Straw was delivered and donated by an east side plot holder (bales broken up to furnish strawberry and courgette beds) and fairly flew. 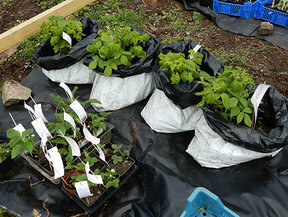 And as an added bonus, two nurseries provided us with lovely locally grown stock. 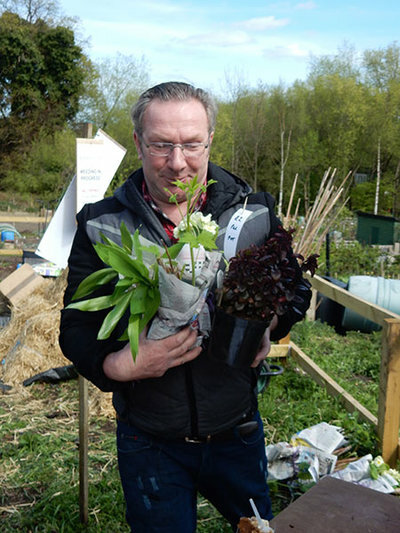 Thanks so much to Redhouse Nurseries and Pentland Plants for supporting our event. 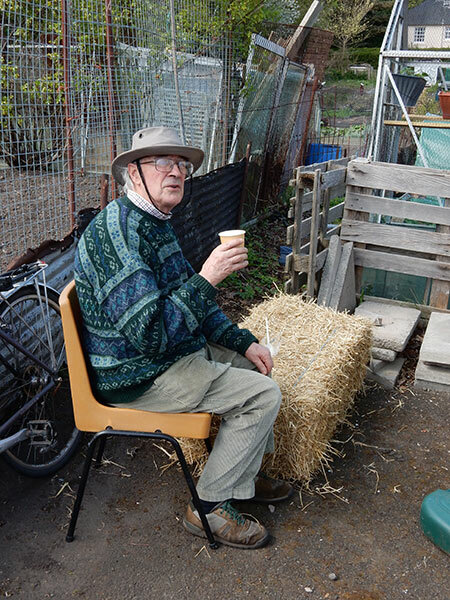 It was a good opportunity to try out the space which was the ‘old leaf mould’ heap as a communal gathering area. 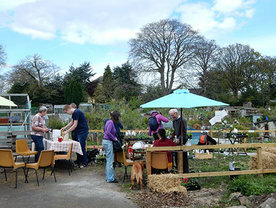 Now levelled and fenced, it was noted by a number of plot holders that it felt a very comfortable and welcoming space. Several confirmed their interest in the idea of growing fruit there, siting a couple of benches, as well as allowing space for events like the plant sale. 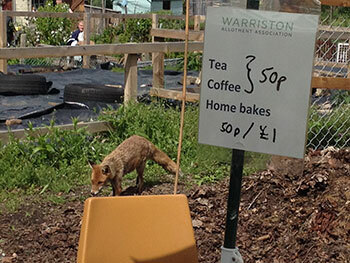 If you agree or have other ideas/comments on this, please do get in touch through the contact page. 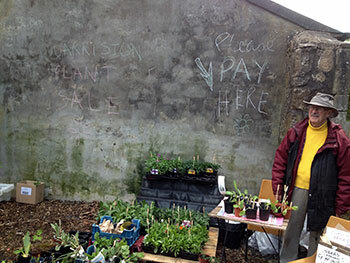 We hope to make the Warriston Plant Sale a regular on the calendar. 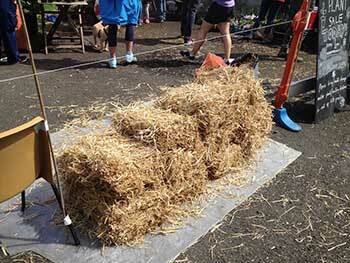 Let us know if you have any ideas for improving/adding to the success of this year’s outing.